This item is currently out of stock... Please contact us about backorders! 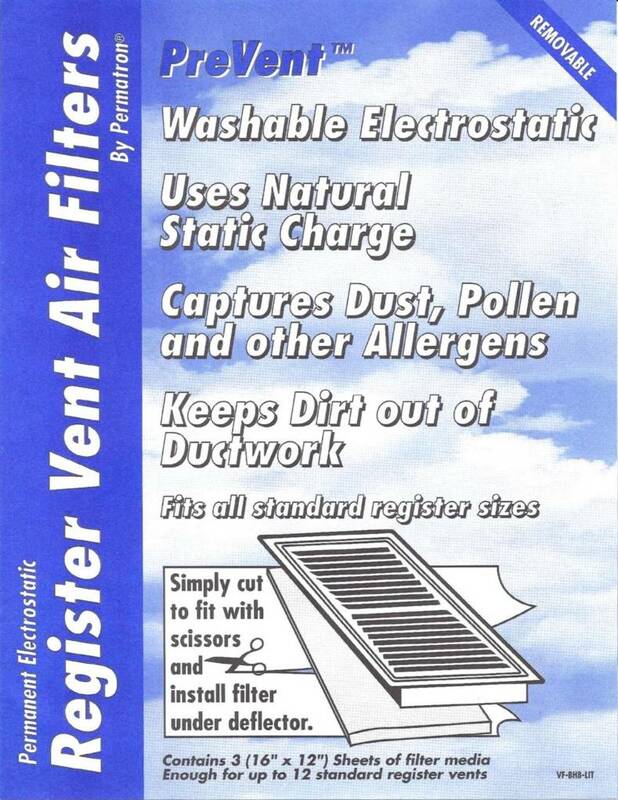 Electrostatic media attracts dust coming from ducts. Just wash off and reuse. One Package contains 3 (16 inch x 12 inch) Sheets of Filter Media. That's enough for 12 (4 inch x 12 inch) standard register vents.